Fuel consumption standards imposed in several countries for the next years have prompted the development of hybrid passenger cars with ever smaller internal combustion engines. In such powertrain, fuel consumption is as important as engine packaging and power density, so two-stroke engines may be an option due to their higher combustion frequency compared to four-stroke engines. Therefore, the present research investigates the air–fuel charging process of an overhead four-valve direct injection supercharged engine operating in the two-stroke cycle. The optimum start of fuel injection was evaluated for commercial gasoline by means of indicated and combustion efficiencies where a trade-off was found between early and late fuel injections. By advancing the injection timing, more fuel was prone to short circuit to the exhaust during the valve overlap, while late injections resulted in poor charge preparation. The gas exchange parameters, i.e. charging and trapping efficiencies, were obtained from seventy operating points running at fuel-rich conditions. The Benson–Brandham mixing-displacement scavenging model was then fit to the experimental data with a coefficient of determination better than 0.95. With such model, the air trapping and charging efficiencies could be estimated solely based on the scavenge ratio and exhaust lambda, regardless of the engine load, speed, or air/fuel ratio employed. Further twenty-five different lean-burn testing points were tested to certify the proposed methodology applied to the poppet valve two-stroke engine. The in-cylinder lambda was calculated and found different from the exhaust lambda due to mixing between burned gases and intake air during the scavenging process. 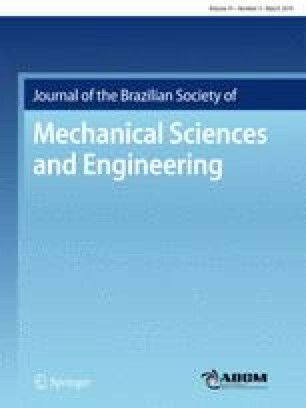 Technical Editor: Francis HR Franca, Ph.D. The first and second authors would like to acknowledge the Brazilian council for scientific and technological development (CNPq–Brasil) for supporting their PhD studies at Brunel University London.